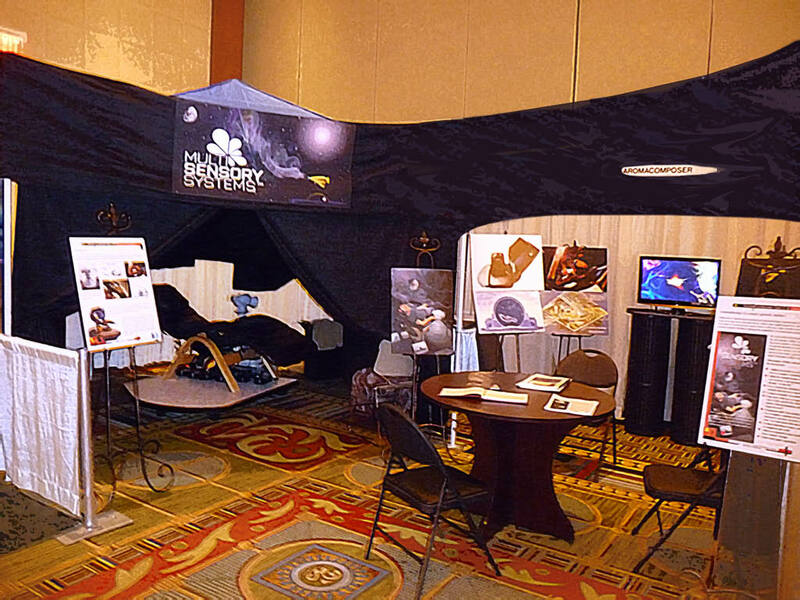 A lucky few had a chance to experience our multisensory chair with second generation aromaComposer diffusion and blending system at the Scent World Expo, held in Las Vegas Nevada, during the period of Nov 18-21 2009. Our purpose was to let the international community have a sneak peek at what we have been up to, to get to know that community. Although the focus of the event was the use of scent for marketing purposes, as part of multisensory branding experiences, many of the attendees were involved in other aspects of scent and multisensory experiences.